The Index opened strong at 7967 and went on to touch the highs of the day at 8055 only to see the Sellers back to move the index back below 8000 to close at 7981.90, still a huge gain of 82.75 points. The broader market was strong, with 1040 advances to 454 declines. The broader range till expiry stays at 7800-8200. 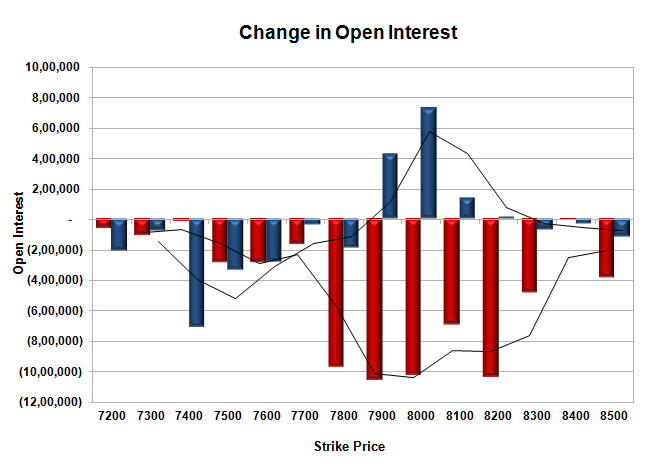 No Call option added OI though huge short covering was seen at 8000 and lower strike prices. Put option 8100-7900 added huge 12.98 lacs OI with profit booking seen at 7800 and below strike prices. 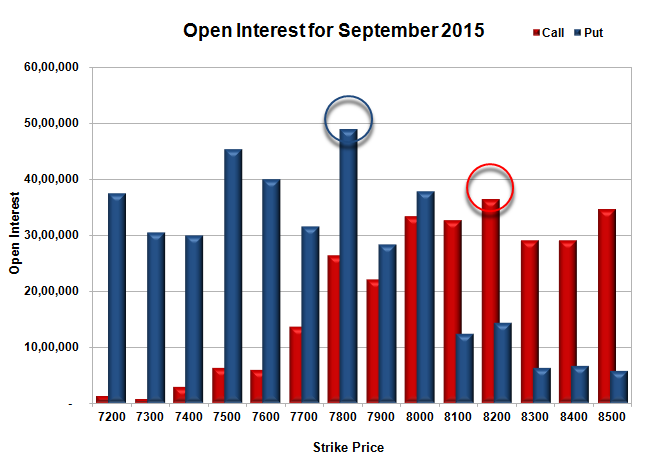 Nifty Open Interest is at 2,18,52,050 up by 2,97,350, whereas Oct series also added 8.74 lacs with increase in price, most probably huge long build-up in both series. Bank Nifty Open Interest is at 23,82,850 up by 27,475, whereas Oct series also added 0.53 lacs with increase in price, most probably huge long build-up in both series. 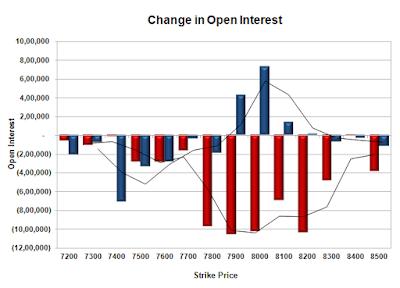 FII’s sold 1.68 lacs Futures, which includes 63175 contracts long build-up and 69894 contracts short build-up, with increase in net OI by 133069 contracts (includes 211136 longs to 217855 shorts for the day) and the Average Price comes to 8240.96. FII’s Index future open contract as on date is 724955 Longs to 450794 Shorts, Net Long 274161 down by 6719 contracts. 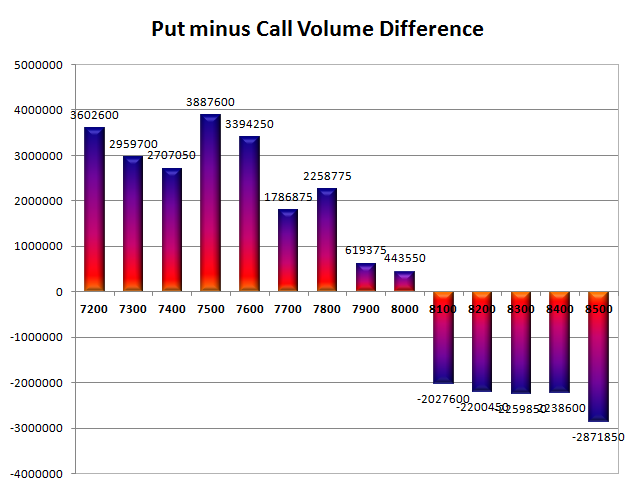 Initial support at 7900, with OI of 28.28 lacs and below that at 7800 with highest OI of 48.91 lacs. Initial resistance at 8000, with OI of 33.33 lacs and above that at 8100 with OI of 32.65 lacs. Day Range as per Option Table is 7895 - 8093 and as per VIX is 7905 - 8058 with 7998 as the Pivot.